Peace Lutheran Sunday School is open to everyone from age 3 through adult, immediately following worship services every Sunday, September through May. We have Sunday school classes starting with grade nursery (3 years of age) through 8th grade. Our Senior High Youth Group also meets for Sunday School/Bible study each Sunday. Enrollment forms are available from the church office. Sunday school classes and Youth Group meet on Sunday mornings from 10:30 to 11:30 a.m. in their assigned classrooms. Adult Bible Study classes meet during this same time period in different locations through the building. As you can see, we have Sunday school for EVERYONE! Our curriculum is Bible-based and includes a memory work program covering Bible verses and selections from the Lutheran catechism. At this time our Sunday school curriculum is the Concordia series “Growing in Christ”. Our Senior High Youth group uses a variety of materials from many different resources all Christ centered and Bible based. Our Sunday school also has “Cradle Roll” for children birth through age 3. When a child is baptized into our membership they are automatically enrolled. Parenting newsletters are sent to the parents of these children. Packets of materials for use with the children are also mailed to the home. Once a child turns 3 years of age, they are then eligible to attend regular Sunday school. Classes are offered to students normally in the 6th - 8th grades. This period of study will prepare our congregation's children for God-pleasing, meaningful communicant church membership. Classes are held weekly in the evening during the months of September through May. The schedule can be found in the monthly newsletter and the weekly worship folder. The curriculum is discussed at the beginning of the new year of instruction and is subject to change. If you have a child in this age group, please call the church office. 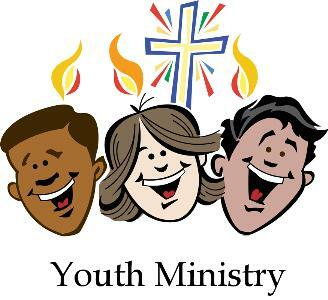 Our YOUTH MINISTRY zeros in on youth grades 6th -12th. 1) Middle School youth ministry grades 6th - 8th. 2) High school youth ministry, grades 9th -12th. Peace offers separate Sunday school/Bible study classes on Sunday mornings for both youth ministry groups. Classes are held during the Sunday school hour, beginning at 10:30 a.m. The 7th and 8th grade class is in conjunction with and a part of youth confirmation program at Peace. In both groups these classes serve to keep your young people “in touch” with their Savior and with each other during the transitional teenage years. As a complement to our Youth Bible class, our young people are encouraged to participate in a variety of youth activities, both servant and fellowship. Servant activities include such things as the annual “Bowl for Life, sponsoring a family at Christmas, supporting a Haitian child and so much more. Fellowship activities include weekend retreats and lock ins, skiing and/or snow tubing, and our infamous BUT fun “Mystery Trips”. Our hope is that through these events our youth will have the opportunity to enjoy Christian fun and fellowship. In order to affirm Christ-centered education, the congregation offers scholarships for those who choose to enroll their children in a Lutheran elementary school and/or high school. Application for a scholarship is submitted annually to the Board of Education. Scholarships are awarded based on the availability of funds and the number of requests made. In order to affirm the choice of the youth in our congregation to pursue vocations in professional church work, the congregation offers scholarships to those attending one of the schools of the Concordia University System. The only requirement is that the applicant is pursuing a degree in a church work field or vocation. (i.e. Pastor, teacher, DCE, etc.) Application is made to the Board of Education annually. Scholarships are awarded based on need and availability of funds. This ministry engages children from grades 5-12, to share God's Word and His Love, through skits and songs, with cute and fun loving puppets. Performances address everyday challenges that children encounter and offers guidance from the Bible. In addition, puppeteers develop creativity, confidence, and group bonding when they perform at church services, Sunday school, Vacation Bible School, and other special events.